The figure of a herald, proclaiming the Olympic Games and standing close to a bust of Ling, the founder of the Swedish system of gymnastics. 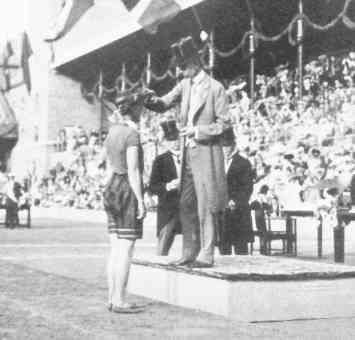 In accordance with the General Programme of the Games, as determined by the International Olympic Committee, the first prize in individual events was to consist of a gold medal, but, in team events, of a silver-gilt medal for each member of the team; the second prize, for all competitions, was a silver medal, or medals, and, for the third prize, a bronze medal, or medals. 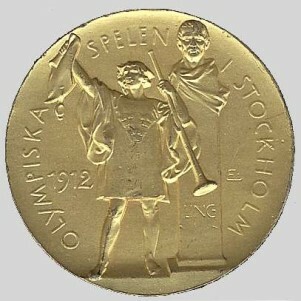 The Swedish Olympic Committee resolved, however, to make the following exceptions from this rule: A gold medal was to be presented to each member of the winning teams in the Horse Riding Competitions; the first prize in the Lawn Tennis Doubles was to be a gold medal for each member of the winning pairs, and, in the Yacht Racing, as first prize in the 12-metres Class, a gold medal was to be awardet both to the successful helmsman and to his mate or leading hand. 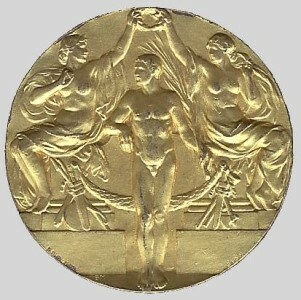 After the Swedish Olympic Committee had come to the resolution, in May 1910, that the prize medals should bear the same obverse as that adopted for the London Games, and that Mr. Erik Lindberg should be asked to make a design for the reverse of the medal, a sketch by the above-mentioned engraver was laid before the said Committee at a meeting held on the 14 November, 1910, and was approved of after a short discussion. 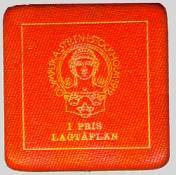 In track and field, the winner receibed a gold medal, the socond a silver an the third a bronze medal. 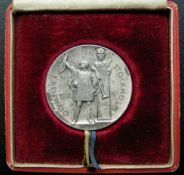 In the team events, the first place carried with it a diploma and each member of the team got a vermeil medal. Those in the second- and third-placed teams had silver and bronze medals respectively. 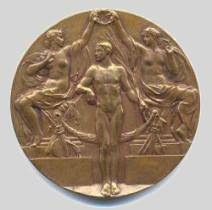 There were always exceptions: in the equestrian events a medal went to each member of the firtst team; the same applied in the doubles teams. 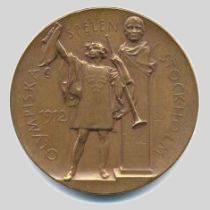 The helmsman and his second, winners in the 12 metre yachting class, each received a gold medal.